Barbiturate withdrawal starts once you stop taking it. Additionally, reducing the intake by a large margin may also cause it. Then, you may experience a number of unpleasant and potentially fatal symptoms. Experts call them Barbiturate withdrawal symptoms. When you abuse Barbiturates, your brain and body acquire a new equilibrium. In essence, they become addicted to it. As a result, withdrawal occurs as your brain becomes unable to cope with the newly gained psychological and physiological changes. In some ways, it is like a sports team playing not to lose. Barbiturates are a group of CNS depressants that treat a variety of mental disorders. Notably, they can include insomnia and seizures. Additionally, doctors use them before a major surgery to reduce anxiety and help the loss of consciousness. Some common forms of these drugs include Pentobarbital, Amobarbital, Secobarbital, and Butalbital. They are very powerful medications. In fact, even a slight increase in dose may lead to a coma or even death. Therefore, it is very crucial that you take it only as directed by the doctor. Regrettably, even a normal dosing of Barbiturates may lead to an addiction problem. For these reasons, their use in medical practice has decreased quite a lot in the past few decades. In the same way, the introduction of safer medications like the benzodiazepines has also shifted the preference from them. What are the Signs and Symptoms of Barbiturate Withdrawal? If you do not get some treatments to resolve the early symptoms, it may lead to more severe complications. This is a very serious stage of Barbiturate withdrawal. Ultimately, any delay in getting the right treatment can lead to death. 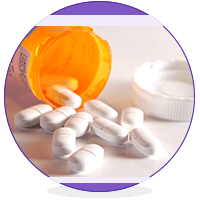 As a matter of fact, medications form the mainstay of Barbiturate withdrawal treatment. Moreover, you may need to stay in a hospital if you have taken large doses for the last 30 days or were hospitalized after the Barbiturate overdose. Are you or anyone you love having Barbiturate withdrawal symptoms? Then, it is imperative for you to seek some emergency medical help. This is considering the fatal complications it may lead to. Closely observe them and note down any abnormal signs and symptoms. Watch their behavior and probable signs of an addiction. Take much extra care if they have a history of addiction to alcohol, prescription medications, or any other illicit substance. In many cases, Barbiturate detox is the first phase of the treatment. Remember to perform the detox only in the presence of a qualified doctor. After all, risking your life is not something you would ever want to do. Medication to stabilize the patient: The main aim here is to calm down a very agitated patient. For this purpose, they will give an intermediate-acting barbiturate. For example, Pentobarbital. You have to take it by mouth. Giving Phenobarbital instead of Pentobarbital. In many cases, this may be a better choice. This is because Phenobarbital is safer. Moreover, it controls seizures more effectively. Giving Phenobarbital in the doses that you can adjust to the patient response: This is more scientific. Unarguably, it eliminates many of the disadvantages of the first two approaches. With this method, you can expect fewer chances of having symptoms of psychosis and seizures. Usually, you will need to stay in the hospital for at least 3 days. Then, they may consider you for some rehabilitation. The real challenge in the treatment of Barbiturate withdrawal starts once you become stable. Then, the user follows a series of other supportive and long-term treatments. They aim to reduce the chances of a relapse. In addition, the user will develop life skills to help you get back to the society. In the meantime, you should take care of the following things. They will make your journey a bit shorter. Be patient and do not expect a miracle to happen. That too, within a few days. Barbiturate detox is a difficult but achievable goal. The outcome of a treatment plan depends upon a few factors. They are your determination for recovery, the duration of the abuse, and the efforts from your rehabilitation team. Since the road to recovery is bumpy, rehabilitation treatment is the best option for you to get back to your life. Barbiturate treatment centers are experts in rehabilitating this specific subgroup of patients. They have a team of highly qualified and skilled healthcare professionals and counselors. The team will provide all sorts of medical treatments, counseling, and follow-up cares. Are you or anyone in your family fighting against Barbiturate withdrawal? Or are they in need of rehabilitation? Please talk to the experts in the field. Click here for more.